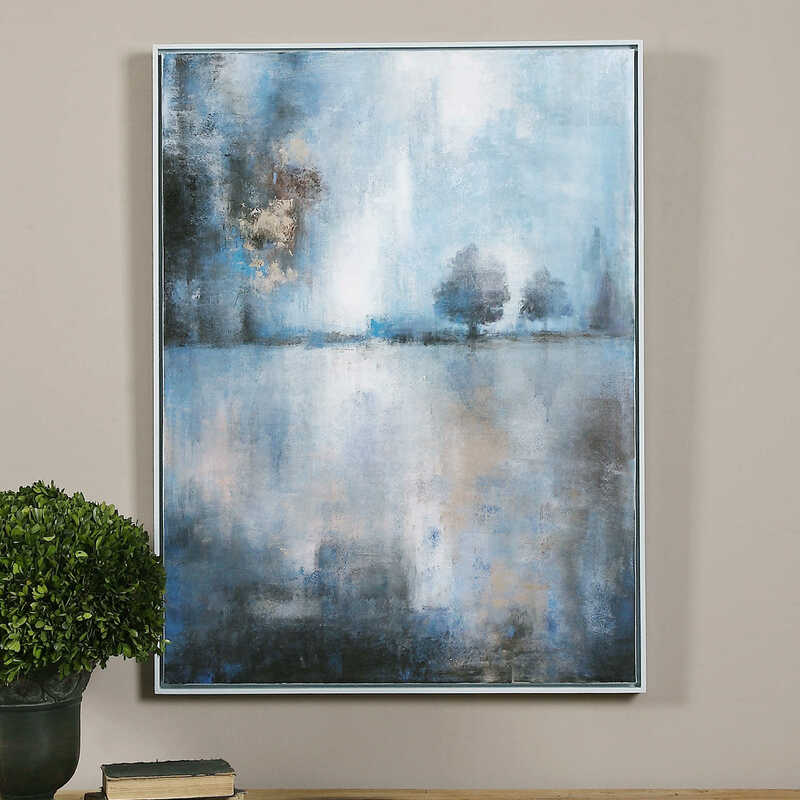 This cool-toned, hand painted landscape on canvas features a transitional style with abstract elements. Muted shades of blue, beige, and charcoal are highlighted with gold leaf accents. 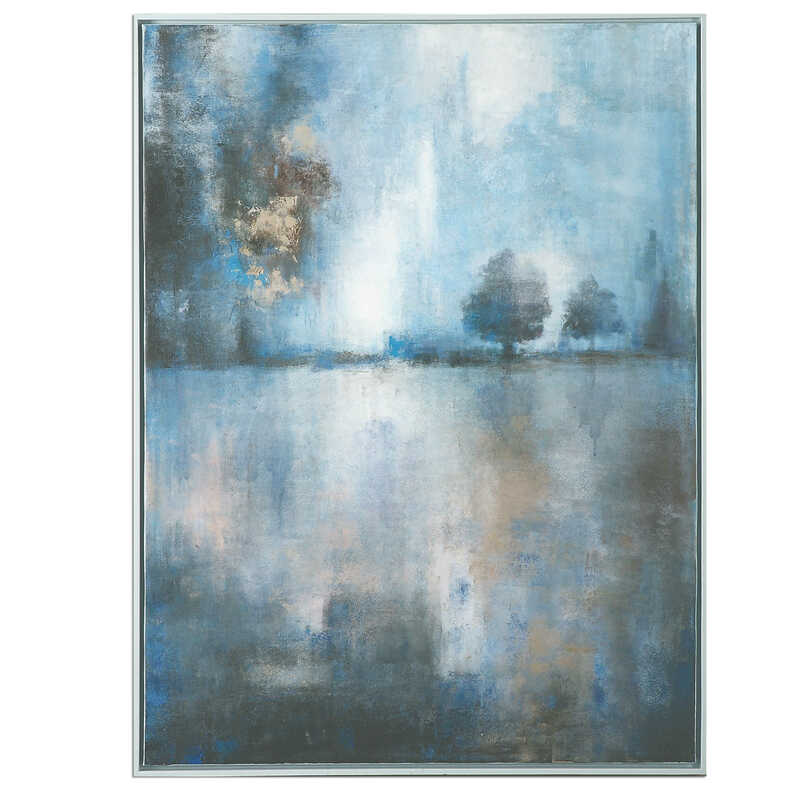 The canvas is stretched and applied to a wooden frame before adding a slim, pale blue gallery frame. Due to the handcrafted nature of this artwork, each piece may have subtle differences.